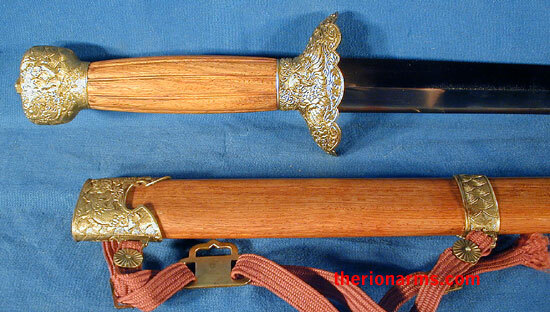 There are two basic types of straight bladed swords used in China. 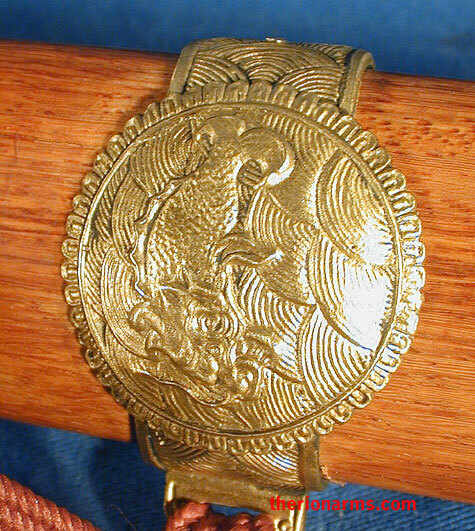 One is fairly long and heavy and is known as the Wu Jian or "Martial Sword". 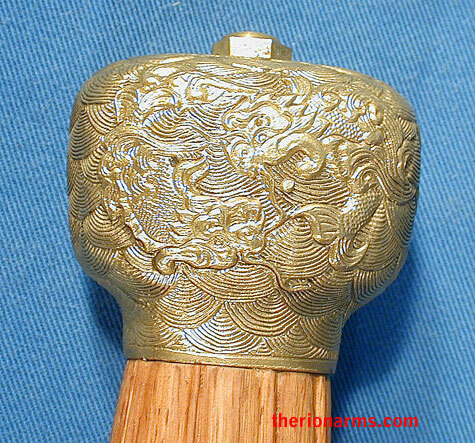 The other is substantially lighter and called a Wen Jian or "Scholar's Sword" and was primarily carried for personal self defense. 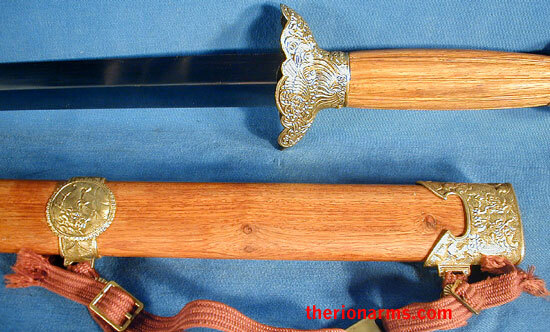 After studying books and video tapes on the history and use of both weapons, Cold Steel created their own battle worthy Gim (Wu Jian) for serious collectors and practitioners of Chinese Martial Arts. 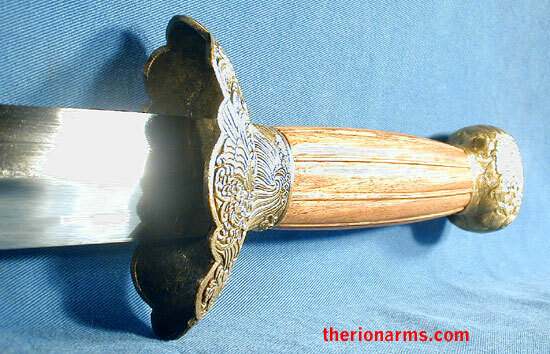 The blade is polished 1050 spring steel (it came out looking dark in some of our pictures because we had to angle it to reduce the shine), and measures 30" long by 1 3/8" wide, tapering to 1" near the point. 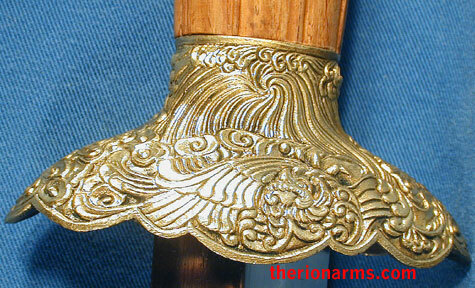 For cutting and slashing, both edges are quite sharp and they terminate in a strong, useful point for stabbing. 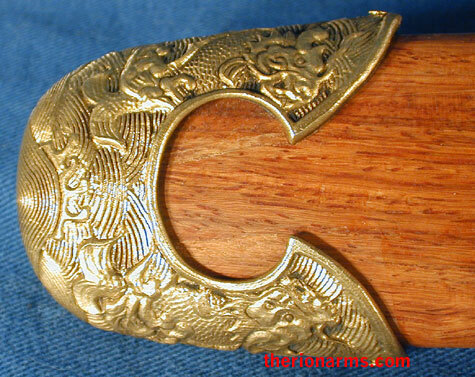 The traditionally styled guard and pommel are cast out of thick sturdy brass and fit snugly on a stout rosewood grip. 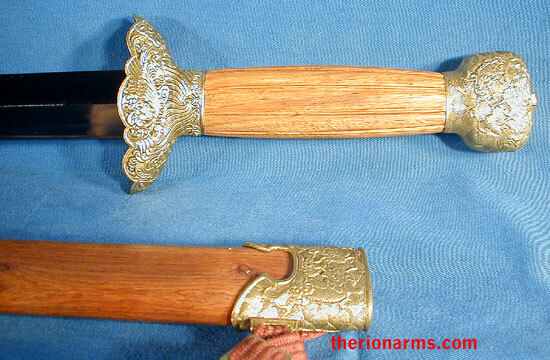 The sword comes with an excellent rosewood scabbard with brass throat, chape and suspension rings; and a protective sword bag.